Come get your hands dirty with online tools that will help you take your classroom to the next level. The Web 2.0 tools that we'll introduce and dive into have the ability to increase classroom communication and collaboration while positively increasing student achievement. We will cover social media tools, backchanneling in the classroom, classroom management tools and much more. After we introduce them, you'll pick what works best with your class and we will help you set it up so you can use it on November 18th in class! I bet you already have a PLN! A PLN, or personal learning network, (sometimes known as Personal Learning Community) is a group of resources that you use to keep current with the "latest and greatest" in your life. It can and should consist of online resources, social media, and, most importantly, real people who you can go to when you have a question, need advice, or need to bounce ideas off. You can have a PLN for anything you're interested in, but you should most definitely have one for your career! 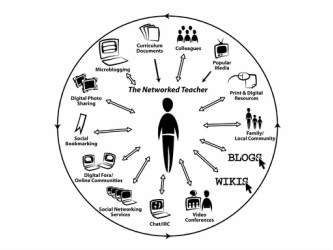 Why should I have a PLN if I am an educator? A PLN gives you ideas, resources, saves you time by answering questions, and helps you meet the needs of your students and, most importantly, keeps you on top of the ever changing world of education.